I have experience as a software engineer more than 20 years and as a banker with more than 15 years, especially in business banking, portfolio management, data management, and data analytics. My core specialities include data engineering, data science, machine learning, and big data analytics. I am working at Bank Negara Indonesia, one of the largest bank in Indonesia. I took part in several projects such as loan origination system, portfolio management system, loan remedial & recovery system, enterprise data warehouse, and big data. My latest project, Big Data Implementation, had been done successfully and bring the company to the new world of data analytics. 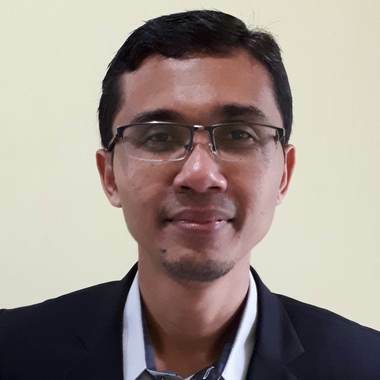 As a Head of Data Profiling and Analytics Group, I am in charge of data profiling and analytics, including big data analytics, such as product recommendation, dormant prediction, customer segmentation, customer preferences, cross-selling & up-selling, value chain analysis, transaction alert, transaction reminder, customer matching analysis, and web crawling analysis. This presentation will be delivered in Bahasa.